The 2012 economic data of China's provincial economies have recently been disclosed, with China's southern Guangdong Province leading the GDP rankings (gross domestic product), followed by Jiangsu and Shandong provinces. The National Statistics Bureau of China announced on Monday that the country's GDP had reached 51.93 trillion yuan (US$8.31 trillion) in 2012, up 7.8 percent from 2011 and 0.3 percentage points higher than expected. The GDP of the top 10 provincial economies on the Chinese mainland in 2012 hit 34.52 trillion yuan (US$5.52 trillion), accounting for about 66 percent of the national total. 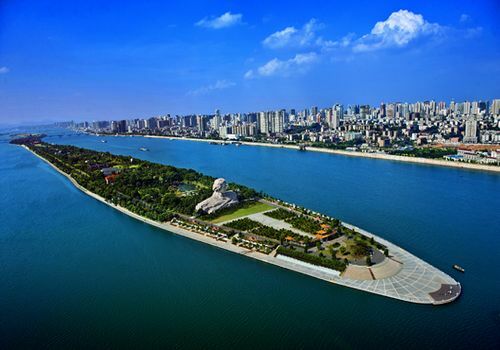 With its GDP reaching 5.71 trillion yuan (US$913.8 billion) in 2012, Guangdong has been ranked number one for 24 consecutive years, although the gap with Jiangsu is narrowing down. The GDP per capita in Zhejiang Province, Jiangsu Province and the Inner Mongolia Autonomous Region broke through the US$10,000 line for the first time in history. Before 2012, only Beijing, Tianjin and Shanghai, three provincial economies, had a GDP per capita exceeding US$10,000, which is considered as a threshold for an economy to be regarded as "developed." The following are the top 10 largest provincial economies on the Chinese mainland in 2012. 24 out of the 31 provincial economies on the Chinese mainland entered the "1 trillion yuan club" in 2012.